Can Selling Out at an Event Be Selling Out on the Event? 17 Feb Can Selling Out at an Event Be Selling Out on the Event? Can selling out at an event be selling out on the event? 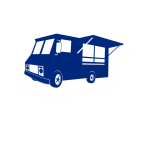 Food truck operators have experienced this during various events … you run out of food. First you run out of the most popular item, then the next most popular, and so forth. Eventually you have no more food to sell. Do you look at this as an achievement award? Let’s make the assumption that you loaded your truck to its maximum capacity. You have left space for not even one more cooler or dry storage for any more food products to sell. You’re at an event; very well attended, and now you’ve nothing left. There is, however, event time remaining. You have the tough task of telling your guests you’re out of food. By running out of food, did you help create and support a higher demand for your product? Will attendees seek out your truck first, fearing the possibility that you may run out again? What if you didn’t load to maximum capacity? We’ve catered events and been surprised at the turnout. It’s a great … and terrible feeling at the same time. You’re grateful and excited to have the activity. At the same time you’re thinking of plan B and how am I going to get more food to sell. It’s the opportunity to sell more that exists. Running out of food is giving up that opportunity. Predicting how much food to stock on the food truck is like guessing at the eating habits of the attendees. It’s difficult and unpredictable. This is when gathering as much knowledge ahead of time about the event will help you determine what range of food to prepare for the truck. Can selling out at an event be selling out on the event? Your truck can also be perceived as the truck that always sells out. The positive impression is that you’re popular. The negative impression is that you’re not prepared. You can be viewed as an operation that didn’t prepare enough food because of your lack of experience, knowledge, and financial ability to stock. Maybe you just did not care enough to service the event in its entirety. Generally, when event coordinators see that their food vendors sell out of food and close early, they start making mental notes of who to invite to the next event. They’ll bring on more food vendors to ensure enough food is available for their attendees. They may or may not consider inviting you back for their future events depending upon how they view your operation selling out. Is it selling out on the event by not being properly prepared? Or did you sell out because you are such a popular truck? This can be viewed either way both positively and negatively. It’s a coin flip and I’ve seen it viewed both ways. Can a food truck operation take measures to prevent selling out an event? Your food truck has limitations on how much product can be stocked. You don’t have the luxury of most brick and mortar restaurants with larger cooler and storage capacity. Here are a few ways to help prevent running out of product. Menu Offering: The more menu items you have to offer, the more product you need to stock. I’ve found less is more … have fewer menu items to sell. Sell the items that sell the best and keep plenty of product available for large events. I’ve seen food trucks with menus similar to sit down restaurants and was very curious where they put all of the items for the menu. You’ll find it is much easier to prep, stock, and sell when your menu includes a handful of itemsrather than much more. Menu Cook Times: How long does it take you to prepare and get your menu items ready to sell? Imagine a BBQ truck running out of food. BBQ requires many hours of preparation and smoking. If you run out of BBQ, you’re basically done for the day. I’ve heard of some chefs who smoke their meats for 24+ hours … not exactly something you can whip up quickly. On the other end, you see a lot of taco trucks. Out of tacos? Whip up the ground beef, cut up more produce, and your ready to sell again. Plan B…Plan C: Your truck is loaded for a large event, expecting perfect weather and a record turnout. You know there is a great chance you’re going to sell out of food. What is your plan B? Do you have a backup vehicle to transport product to the truck? Do you have more product ready at your commissary? Can your menu items be easily and quickly prepared by going to nearby grocery stores or wholesale clubs? You need a resource to replenish more food as you get close to running out. Have family, friends or staff support be your plan B and plan C.
Ask, Ask, Ask: Learn as much as you can about the event you’re going to serve. What is the expected attendance? How long have they been doing this event? How are they going to market their event to support their attendance estimations? Who is paying for the food? Where will your food truck be parked? All of these factors can impact your food sales. Knowing these answers will give you the knowledge to prepare the right amount of food and also to have a strategy in place for plan B and plan C.
The flip side to being over prepared for an event can have its burdens as well. I love BBQ … but coming home with too much of it means you’ll probably be eating BBQ for a while. Or you end up feeding all of your staff, family, friends, neighbors, and the local churches. This is where the product you produce needs to have extended shelf life. Can it stay refrigerated until the next day? If your ingredients are not cooked until each event, do you save the carry over to serve at tomorrow’s event? Can your food be transformed to another product? (Remember this the next time you get chili on your burger at many burger restaurants.) Your menu offering has a major impact on how much you prepare, how you prepare, and how flexible your operation can be. The longer and more difficult your product is to prepare, the more product you’ll be with at an event. Can selling out at an event be selling out on the event? In all likelihood, yes it can. However many event coordinators are understanding of your challenges and they in most cases are at the mercy of having reputable food truck vendors attending who know their business. If they find their event leads to running out of food more than desired, they adapt by bringing in more food vendors. The likely result is a lower sales volume for each vendor. Every food truck operation is different. Some owners are super excited to run out of product as it resulted in a great sales day. Other owners may view it as missed opportunity to sell even more. Both sides are correct based on the food and financial operation of the business. It’s an ongoing learning process on how to make your operation more efficient, accommodating, and profitable.